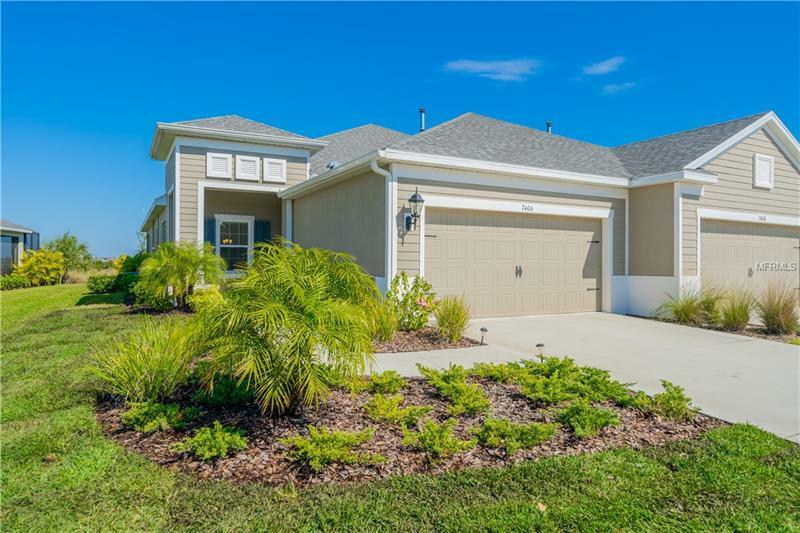 The expansive views of the conservation area, water and wetlands will draw you in as you step inside this beautiful 2 bed/2 bath Waterset twin-villa. This home has an open style living space and has a generous space outdoors on lanai, perfect for entertaining or relaxing. The kitchen is sleek and modern, and ready for a fresh brewed cup of coffee or trying out new appetizers for your next get together. This is maintenance free living at its best. New lush carpet in bedrooms and fresh sod was just laid in the front yard. Waterset is an active community with 2 clubhouses for your enjoyment, multiple pools, a quaint cafe, 2 fitness centers, a dog park and miles of walking and biking trails that are kept up and pristine. A home with these amenities and views will not last long. Let us Bring you Home!